Styling tips: Oversized Baddest Print Sweatshirt. Who's the baddest girl in town? Maybe me because I wore this sweater which printed a baddest word on it, heh. Oversized is good. It effortlessly turns a sweater to a dress, which also called sweatshirt dress. To avoid any bum slip moment that often happens when you wear a too-short pants/skirt or dress, wear a short pants (not longer than the outer dress or shirt) or put on a nice underwear. The latter solution defines you as one who pay great attention on undergarment fashion when people accidentally peek. Ok, I know I sound paranoid again. Too know why I've a thing in undergarment fashion, read here. To finish my sporty chic look, I wore a pair of thigh high socks. The length of the socks is very important because it will somehow make your legs look longer and leaner. It draws the eye upwards and away from the calves. Besides, I always keep a balance in term of colours. White, blue and red. My socks' colours are matching with my sweater, meanwhile the colour of my sneakers stays within this colour palette. 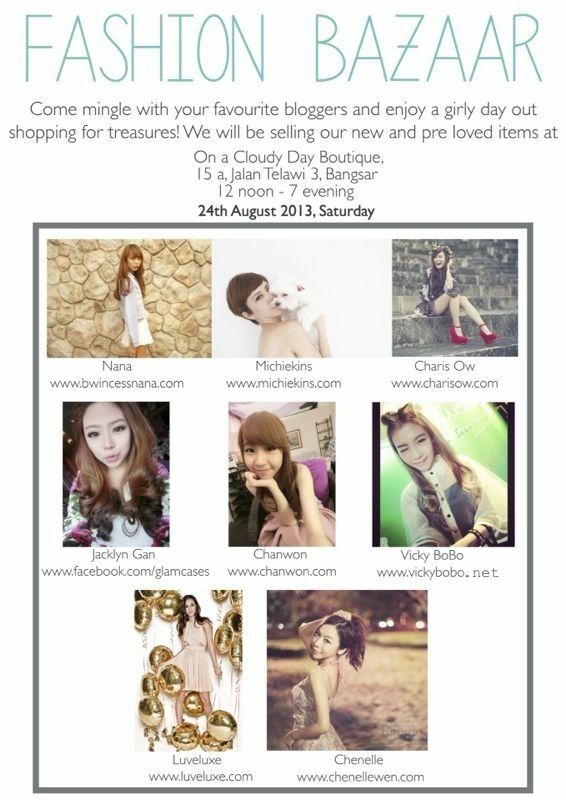 Before I end this post, remember drop by Bangsar today for my fashion bazaar.